When one hears the word “rugby”, what comes to mind may be the physically tough and rough game that one often sees on American television. Although it has the word “rugby” in it and indeed is a game derived from rugby, Touch Rugby is a sport in which players do not tackle each other. Instead, defending players touch their opponents using their hands on any part of the body, clothing, or the ball. Attacking players try to get the ball to the score line before 6 touches, after which possession of the ball changes over. Every time a touch is made, defenders have to back 5 metres before they can proceed to make another touch. Apart from physical skills such as stamina, speed and agility, Touch Rugby is also a sport which focuses a lot on strategy. Players have to be situationally aware, and be able to think on their feet and act quick on the field. Therefore, Touch not only develops your physical fitness, it also develops your mental agility. Teamwork and communication on the field are crucial aspects to the sport as well. While honing individual skills such as ball handling are undoubtedly vital to mastering the sport, being able to work together as one on the field is a skill that is equally, if not more important. Furthermore, as each individual has her own important role to play on the field, good communication thus contributes to the clarity of roles and effectiveness of teamplay. 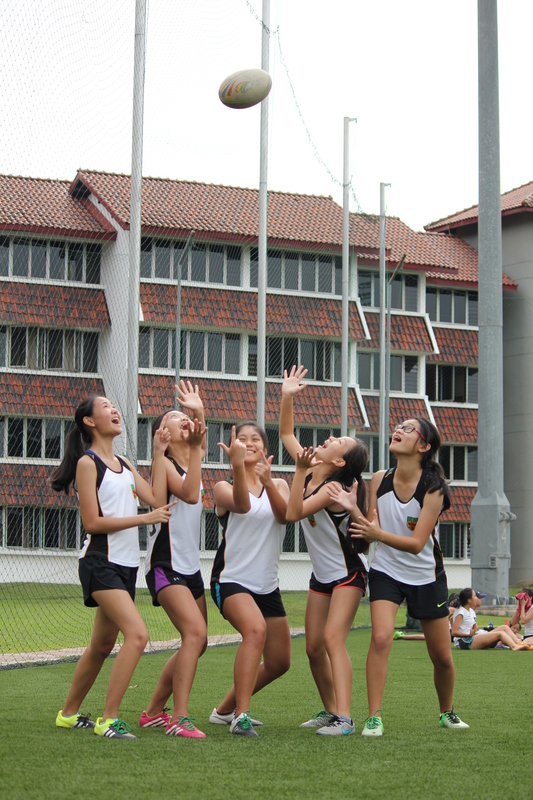 Daunted by what was mentioned above? Don’t worry! 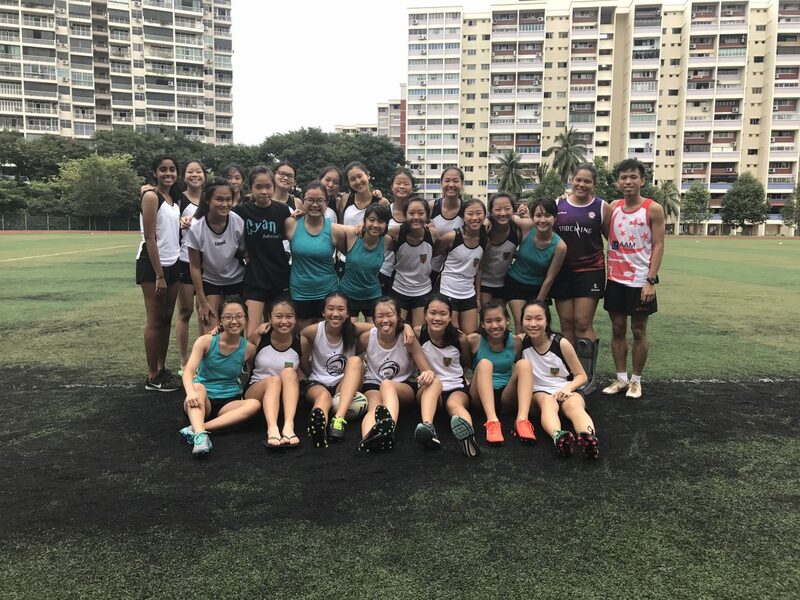 Raffles Touch is a developmental sport, making it a great choice for all those who are interested without any prior sports background – there will be plenty of time to hone your skills during our training sessions. We train twice a week, with trainings every Tuesday and Thursday from 4.30pm to 6.30pm. Additionally, we have conditioning sessions every Friday from 4pm to 6pm. 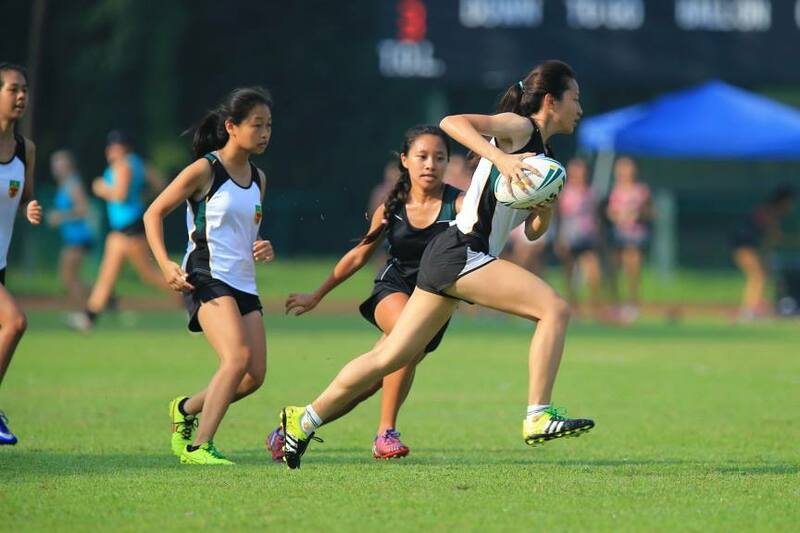 Touch Rugby is a new sport to most of us, which is exciting as everyone starts off on an equal footing. 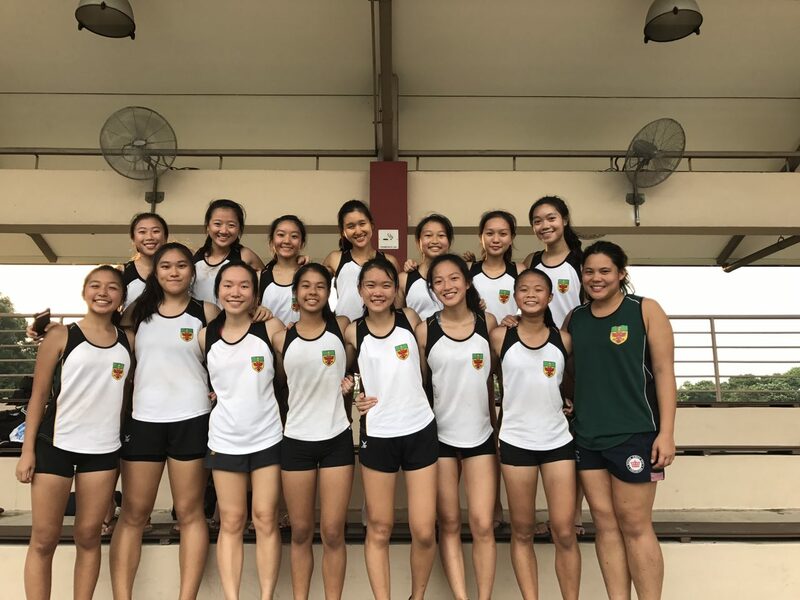 We all come from various backgrounds – sports and non-sports, team and individual sports, Raffles Programme and JAEs alike – yet all these differences are put aside once we step on the field. We learn and grow together both on and off field. As cliche as it sounds, all the time and memories made as one team stay with us as a significant part of our JC experience even after we graduate. 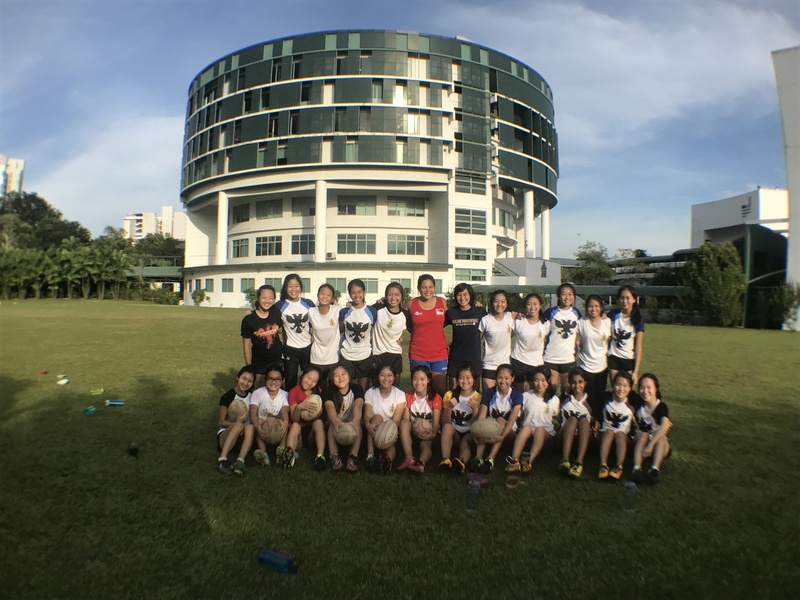 What’s more, whilst some sport CCAs in RJ train for months to compete in a single JC league, Raffles Touch Rugby takes part in many (cool and exciting) tournaments throughout the year, like NTU Touch Attack and Singapore Junior Touch Championships. This provides all of us with many opportunities to not just improve ourselves and bond better with our fellow teammates, but also to experience the exhilarating feeling of running like your life depends on it, planning attacks against the defending team and diving for that final try — a war of wits and a race against time in order to eventually (hopefully) emerge victorious. If what we have mentioned appeals to you, we strongly encourage you to come down for the trials! We are looking out for players with ball sense, agility and speed but most importantly, team players with open minds and willingness to learn. We hope to see you on the field with us soon!